A perfect smile is worth more than money can buy, yet some people still try to cut costs on their orthodontic treatment by choosing to use DIY methods that are often unsafe or ineffective. While you may see tons of advertisements online and are passed around on social media, the truth is that DIY braces often fall sort of the goals that you want to set for your oral health. Before you hop on the latest trend, make sure that you and your family understand this information about why it’s simply not worth learning how to make your own braces at home.You should first know that it’s completely impossible to make professional grade orthodontic appliances at home. For instance, you could never learn how to make your own braces if you want traditional metal types because these require precision when they are placed on your teeth. For this reason, the majority of mail order braces companies use clear plastic aligner trays that they make using impressions that you make of your teeth. While you may be fine with aligner trays that are made to work like Invisalign, you need to know that you will not receive proper monitoring throughout your treatment that is necessary to make sure that it works. How Do You Make Your Own Braces? One of the biggest problems with DIY Invisalign is that the treatment begins with you doing the bulk of the work yourself. Typically, one of these companies will send you a kit that tells you to make an impression of your teeth. While it may seem simple enough to put putty into a tray and bite down, the truth is that this only creates a small snapshot of how your teeth fit together at that moment. When you have issues with your bite, you may bite down differently each time. Alternatively, you may have trouble completely biting into the putty. Even an accidental bump or debris particle can throw off the impressions and lead you to receive an incorrect fit for your aligner trays. Once you take your impressions, the mail order company then uses these to manufacture your trays before sending them your way. To seem professional, the company may ask for x-rays from your current oral health care provider, but this still does not give enough information for them to create a treatment plan. A full in-person mouth examination is critical for making sure that you get the right type of treatment to fit your needs. What Are the Risks Associated with Mail Order Braces? Trying to do your own braces comes with many risks. Unfortunately, you may not notice that you are causing damage to your teeth and gums until it is too late. With mail order orthodontics, you may receive plastic aligner trays that are not perfectly fitted to your mouth. When this happens, you could experience irritation on your gums and cheeks due to the friction. Alternatively, a poorly made impression could cause the trays to not push your teeth into the right positions. 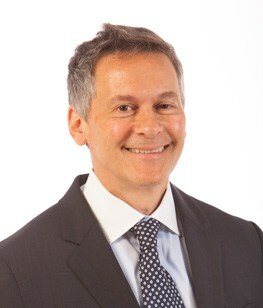 You also need regular orthodontic exams to make sure that the treatment is working. 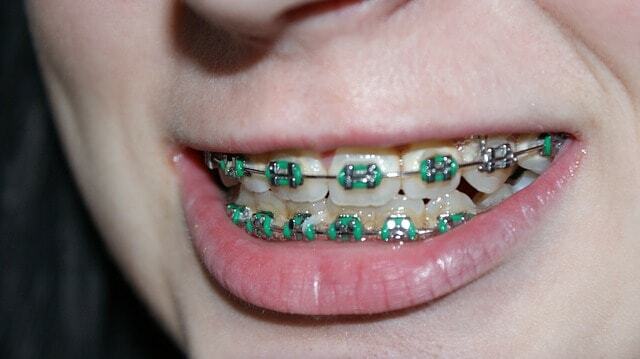 With DIY braces, you could keep wearing your trays for months without seeing any benefits. A professional orthodontist monitors your teeth and bite for changes throughout your treatment so that adjustments to your tray can be made as needed. Remember that your mouth is constantly changing, and the position of your teeth can be affected by things such as an injury, illness or newly emerging wisdom tooth. All of these things are caught by in-person orthodontic visits, and mail order companies simply cannot get an accurate view of your mouth when they are many miles away. The truth is that mail order orthodontics can actually work in some instances. However, they are not as effective as an in-office treatment plan, and you place your health at risk by forgoing professional care. You should also be aware that these types of braces are not for everyone. For example, you may require a different type of appliances such as traditional braces or a palatal expander if you have severe tooth crowding. These mail order companies also fail to provide proper follow-up treatment. Often, retainers are critical for making sure that teeth stay in place once you have the ideal smile. How Can an Orthodontist Get Me Straighter Teeth? There are several things that your orthodontist can do to help you get straighter teeth instead of relying on DIY Invisalign. First, your orthodontist will perform a thorough oral exam. This exam may include them checking your bite visually as you open and close your mouth. They may also take measurements of your jawbone and the spaces between your teeth. During your in-person consultation, you can also expect your orthodontist to ask questions about your lifestyle. For instance, you may not be the ideal candidate for Invisalign if you tend to forget things easily since the trays must be removed and put back into your mouth at various points during the day. In this case, you may be a better candidate for traditional braces, but a mail order company would never tell you that. What Are the Benefits of Seeking In-Office Orthodontic Care? When you seek care at a traditional orthodontics office, you receive that personalized touch that makes a big difference in your final results. While a millimeter may not seem like much, it makes a big difference in how your smile looks, and your braces may need these tiny adjustments as you progress through your treatment plan. You will also find that the costs between the two types of braces are comparable, but you get so much more from a regular orthodontist. When you know that someone is able to visually check your teeth for signs of progress, you can trust that it is easier to stay on track with your treatment plan. Besides that, it’s just easier to have professional handle things such as making impressions rather than trying to stress out as you attempt to do it yourself. Are you so eager to get straighter teeth that you’ve explored mail order orthodontics? If so, we understand and have seen the results from low-quality DIY attempts. Give us a call today so that we can show you how we can work together to give you the best results for an amazing smile.